Stress is a response by the body to a threatening situation. Because a horse is a prey animal it will instinctively flee from threatening, unpleasant or painful situations. Only when experience has taught it that a particular situation is non-threatening, will the horse instinctively be able to ‘manage’ it. 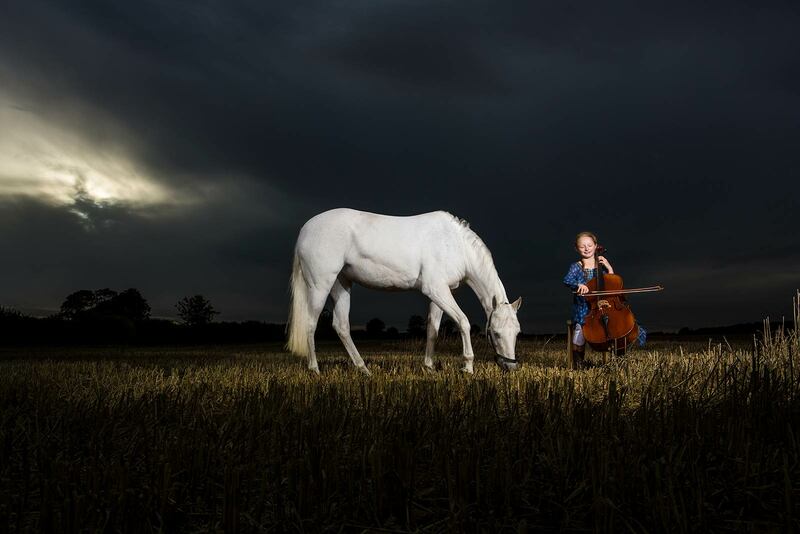 The horse’s excellent memory comes into play because both positive and negative experiences are stored for a long time. It is possible to eliminate negative experiences by presenting positive experiences in similar situations as an alternative, which requires knowledge and a subtle approach. The horse’s breed, education and training all play a crucial role. However, it is not easy to find definitive solutions to stress. Conducting scientific research poses difficulties as the animal cannot speak, making it hard to be sure when an animal is experiencing stress. When a horse is insufficiently able to ‘flee’ from a situation or is unable to ‘manage’ it, it causes stress. Extreme forms of stress can lead to badly adjusted behavior. Stress may also be expressed less obviously – for example by poorer performance, loss of concentration and unruly behavior. Stress can also be revealed physically, such as by excessive sweating and foaming when not being worked hard (not to be confused with being unfit), increased heart rate, irregular gait and respiratory problems. The level of stress and how the horse deals with that depend on the character and temperament of the horse. Stress does not always have to be negative, it can also have a positive effect on the horse’s performance. This is because stress causes an adrenaline rush which can improve performance. The adrenaline causes a heightened alertness, improved supply of oxygen to the muscles and limbs, an increase in the release of glycogen which in turns provides extra energy. All this can lead to an enhanced performance. But stress should not continue for too long. Prolonged stress can have serious consequences, such as an accelerated energy supply which causes the horse to switch more rapidly to anaerobic energy resulting in the production of lactate with possibly noxious consequences. The digestive system can also become upset in a number of ways and this could lead to more serious conditions. Therefore stress can increase the chances of colic, stomach ulcers and muscular problems. There are two types of stress responses: a quick, shock reaction immediately after a certain stimulus and which lasts only a short while, and a slower stress reaction that causes long-term stress. In the case of a quick stress response, for example when a horse spooks, adrenaline and noradrenaline is released. These substances ensure the body is in a state of readiness. Heart rate and breathing rise, blood vessels expand thereby increasing the blood supply to the muscles and limbs and the blood supply is directed from the intestines to the muscles. An excess of noradrenaline can cause fear or panic. With prolonged stress, the adrenal glands start producing the hormone cortisol. In response, energy is released to enable a quick reaction to the stress stimuli. In addition, cortisol inhibits the stress response because it reduces the production of adrenaline. Long-term stress causes prolonged cortisol levels in the blood and the adrenal glands become exhausted. 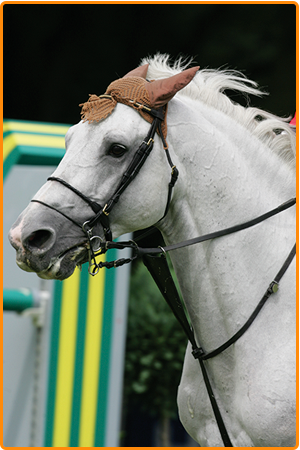 Cortisol also causes raised blood sugar levels which can lead to metabolic problems, for example laminitis. When dealing with a horse that is sensitive to stress, it is advisable to take certain things into account when putting together its rations and determining its daily program. The first and most important consideration is that the energy input, the amount of energy the horse takes in through its feed, is in balance with the energy output, the amount of energy it uses during training or when at pasture. People have their horse’s best interests at heart but often they want to take such good care that they are inclined to overfeed the horse. A ration calculator (www.MyCavalor.com) can be used to check whether a horse is being overfed or underfed. It calculates the amount of energy the horse needs in relation to the amount of exercise it has. In this respect it is important not to lose sight of the fact that it is vital for a horse to exercise. In their natural environment, horses live as nomadic animals, constantly on the move across the prairie from nutrient-poor areas to nutrient-rich ones. In those vast spaces they have room to flee. And just like in humans, restriction of space leads to irritableness. It is not always easy to do, but we should try to give horses space by varying their daily schedule – offer them plenty of possibilities to ‘stretch their legs’ and prevent boredom. Horses that are sensitive to stress respond well to being at pasture for at least 2 to 3 hours a day. Once you know how much energy a horse needs, this energy can be added to the horse’s diet in different forms. In horses sensitive to stress, the energy provided should be in the form of fat or fiber as much as possible. Fat and fibers release energy slowly over time. These energy sources do not give any substantial peaks in energy. Fibers, mainly found in roughage, are not only a good source of slow-release energy but plenty of roughage also alleviates boredom. Make sure the horse has constant access during the day to something to chew on, such as dry hay or straw. Energy can also be added in the form of sugar and starch, from grains for example. 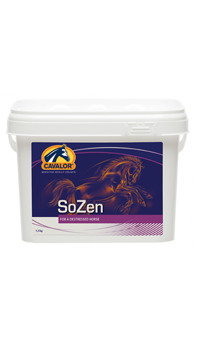 Grains may cause energy peaks which are not recommended in stress-sensitive horses. That is why it is inadvisable to feed oats and wheat to stress-sensitive horses. These grains contain large amounts of easily absorbable sugar and starch. The more feeds the ration is divided over, the smaller the amounts of sugar and starch per feed, and the better for the horse. In addition there are certain nutrients that actually help to counteract stress. The following are examples of nutrients that have relaxing or calming qualities: magnesium, which helps regulate heart rhythm and blood pressure and is important for muscle tension and relaxation. Tryptophan is an essential equine amino acid. Essential means that the body cannot produce this necessary substance itself but that it must be administered. Tryptophan stimulates the production of a number of important substances such as the neurotransmitter serotonin. Serotonin is an anti-stress hormone produced by the body and which gives a pleasant feeling. Serotonin is present in the brain and ensures that necessary stimuli are transferred correctly. A shortage of tryptophan can result in symptoms including excessive stress and a disruption of sleep periods. Higher supplementary levels, however, lead to better stress management. With the aid of a number of B vitamins, mainly vitamin B1, tryptophan can be absorbed rapidly, making it possible to administer shortly before a competition. B vitamins also play an important part in the balance between neurotransmitters and neurons. Many herbs, and particularly the combination of different herbs can have a calming effect without influencing locomotion. The following are some examples of herbs with calming properties. Avena Sativa: contains vitamin B1, B2, B6 and magnesium, known for their relaxing effect. Betula: increases the effect of renal function and slows down the production of adrenaline. Glycyrrhiza Glabra: glycyrrhiza has a synergistic effect on cortisol that controls the production of adrenaline. Passiflora: is known as an effective sedative without impairing the ability to concentrate. Allium Sativa: known for its effect on the nervous system. Realize that horses have a biological clock. If the pattern of feeding, training, pasture and rest is interrupted, it can create unrest in some horses. Changes to grooming and training schedules should also be made gradually. Besides feed and exercise, social contact is important for the mental state of horses, which, after all, are herd animals. Stables where horses can smell each other or pastures where they can graze in pairs or more often have a positive effect on their mood. It is important to take the horses’ characters into account. Determining their position in the group can also cause horses stress. 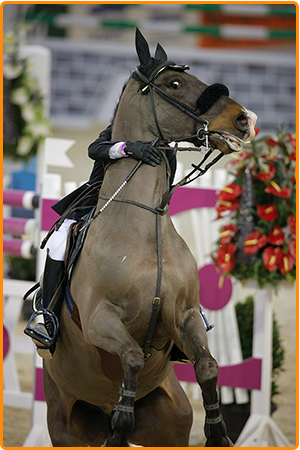 One important stress factor in horses is the rider. Riders often experience a lot of stress. Pressure to perform, skill, circumstances and forming a team with the horse all come into play. Scientists have shown that stress is transmittable, especially to sensitive animals such as horses. Horses are fine-tuned to different moods and the more confident and calmer a rider is, the less stress the horse will suffer. This not only applies to competitions but also during training and travel. Be sure to take the time. 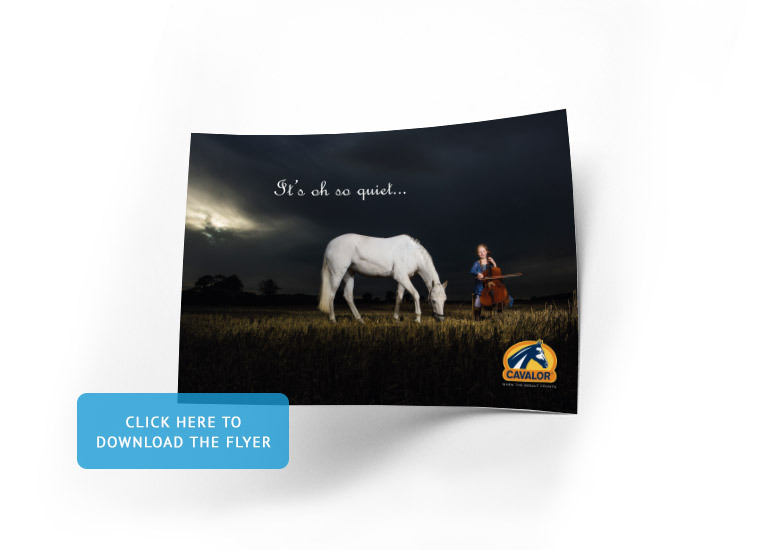 Overestimating a horse’s abilities is manifested as stress. Teach a horse through play to deal with as many situations as possible, and take the time. Make sure that you as the trainer/rider anticipate the horse’s response and accommodate the unexpected reactions as best you can and put it into perspective. That composure will make the horse calmer. The importance of exercise was mentioned before. However, horses are sometimes forced to remain stabled because of an injury or illness. 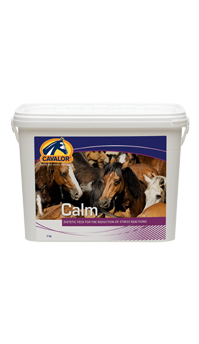 In that case, the feed must be adjusted accordingly and sometimes supplements must be used to ensure the horse stays calm and continues to feel well. In these situations a feed low in sugar and starch is recommended in combination with a lot of roughage to keep the horses chewing as much as possible and to prevent boredom. Certain breeds and bloodlines are more sensitive to stress than others, it is genetic. But a horse’s education is also an important factor. A horse’s history determines its behavior. What were the circumstances the foal grew up in? What kind of stabling and outdoor grazing did it have? What type of feed was it given? What sort of training did it have and what competition experience? In addition to the causes of stress already mentioned, there are many other things that could induce stress in horses, including travel, new environments, etc. The only conclusion is that horses are highly sensitive animals and we need to take that into account if we want to make the life of both horse and rider as pleasant as possible. 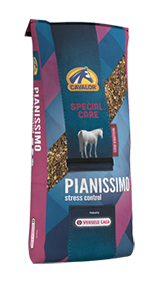 Adapted feed and the use of nutrients with calming effect, combined with good stable management and a tailored training schedule can very well help to limit stress. Stress is a symptom that manifests itself differently in each horse. It therefore requires a different approach for each horse. 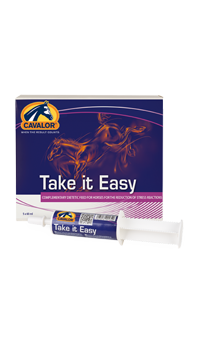 The Cavalor Calming range consists of 1 feed and 4 supplements that each have a different effect on the behavior and spirit of the horse. For each product we provide guidelines for the situations it is best suited to. However, in similar circumstances some horses will respond better to one particular product and other horses to another product. 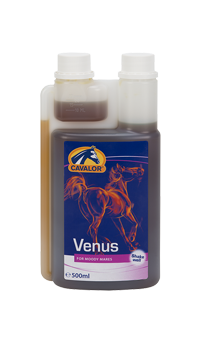 It is a matter of determining for yourself which product suits your horse best. The combination of products often gives stunning effects.